Men, it's time to get ProstaGuard™ on your side in naturally supporting your body with our Infowars Life™ blend of antioxidants and plant-based nutrients. 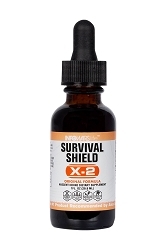 Infowars Life™ has set out to bring you formulations that are not only the highest quality out there, but formulas that you can use on a daily basis to give your body the natural herbs and extracts that our experts recommend. The new ProstaGuard™ formula does just that, with a blend of saw palmetto, lycopene, plant sterols, zinc, vitamin D3, selenium, copper, and many other key ingredients. 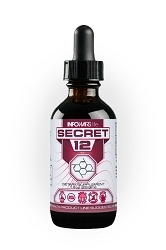 It's something that we have been formulating for a long time, and it's now finally available exclusively through the Infowars Life formulation line. Saw Palmetto: Traditionally used by the American Indians and other cultures to help support the body's natural urinary and reproductive systems, saw palmetto is widely popular throughout Europe and is considered by many to be a staple in alternative therapies. 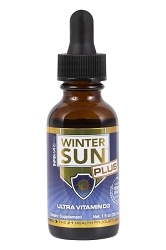 Vitamin D3: Adequate vitamin D is necessary for healthy tissue in systems of the body including the prostate. Lycopene: Lycopene is a powerful antioxidant and natural phytochemical that gives fruits and vegetables like tomatoes and watermelon their red color. Plant Sterols: Plant sterols, or phytosterols, are natural compounds found in many plants, fruits, vegetables, legumes, and even vegetable oils. Zinc: An an important trace mineral that is second only to iron when it comes to its concentration within the body. Begin supporting your body naturally with ProstaGuard today and experience the power of saw palmetto, lycopene, zinc, plant sterols, and the 6 other powerful ingredients in ProstaGuard™ .